I think it’s safe to say our winner will do well at the box office. No real surprise here. Despite The Hobbit (unnecessarily) being split into three films, there are still a lot of people excited to see it. Hopefully Peter Jackson can rekindle the same magic found in his Lord of the Rings trilogy. This Week’s Poll: Since The Hobbit has generated so much excitement, now seems to be a good time to settle a popular debate. Which fantasy series do you prefer: Lord of the Rings or Harry Potter? I know there are diehard fans of both, so this should be a fun poll. Can Tolkien reign supreme once again? Any thoughts on either poll? Did your selection(s) win? It’s an apples and oranges comparison. Harry Potter is a great franchise, but it is aimed at a younger audience that aged as the characters aged. LOTR is aimed at adults. I can watch any of the three LOTR films, but tend to only gravitate to the later Potter films. Good point, Victor. Completely different franchises, but they do tend to get lumped together more often than not. Haha. I’m actually surprised Twilight got as many votes as it did. Guess a lot of people were excited to see the series wrap up! 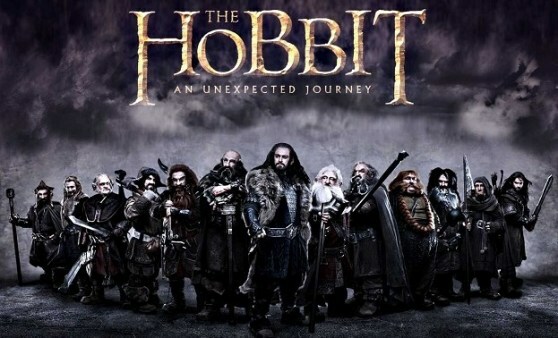 I’m really looking forward to the Hobbit, going to be fun to return to the LOTR again. I really like the LOTR films and books, The Fellowship of the Ring is my favourite. I’ve never really been a fan of the Harry Potter films, seen a couple of them, but I just like the LOTR films more. Yeah I hear ya. To me, the LOTR universe is far more interesting than anything Harry Potter. Hope The Hobbit is as good as it should be! Glad people are in agreement about The Hobbit!! Can’t wait to see it. I actually got an advanced screening to it but unfortunately I’ll be out of the country until Christmas. Ahhh, that would be an awesome movie to see early! How long are you going to be away, Ruth? I haven’t actually watched the Harry Potter films yet, save for the first one. But even so, I think I’d go with Lord of the Rings; I like the books better, as well. I’m looking forward to that one as well. Only seen 1 Harry Potter film. It was midway through the series and I still thought none of the kids could act. Never seen the appeal. LOTR on the other hand – loved! Grew up reading the books and the films are just an extension of that. Haha well I’m right there with you on Harry Potter. I have seen all of them since my girlfriend is a huge fan, but I never got the appeal either. I’ll take LOTR any day, and it seems everyone is in agreement on that so far. Well, I’m still looking forward to Django Unchained more than the Hobbit, but I can understand the excitement. As for LOTR or Potter, just looking at my DVD collection I have to go with the first as I don’t have any Potter movies. I must admit though that although I’ve the extended movies I don’t think I ever watched them. Django Unchained is my most anticipated film, too. LOTR for me as well, really enjoyed the books as well. I never did finish reading all of LOTR. Got about 1/3 into The Two Towers, I believe. The Hobbit, on the other hand, I have read more than once. Happy to finally have a new film adaptation for that one. That is how The Silmarillion was for me. I completely gave up trying to read it after the third attempt. Hi fellow blogger! I have nominated you for Blog Of The Year 2012. Congratulations! Please see my post for the rules. The Lord of the Rings films are great, and right up there for my favorites. I only enjoyed the last two Potter films. I liked how dark the Harry Potter series got toward the end, but overall it didn’t do much for me. I think I must be the only person in the world that doesn’t like the LOTR films, can’t believe they’re stretching the Hobbit into 3 films as well. I’m not much of a HP fan but I definitely preferred the last 3 or 4 of them to LOTR. Bring On Django Unchained!! To be honest, I am not much of a fan of either series. The Hobbit was one of my favorite books back in the day, but I don’t like that it’s being stretched into three films… Two was bad enough!